Here is our of celebrities we wish were still dating. This year-long relationship proved to be a match made in Hip Hop Heaven. When Atlanta natives Ciara and Future started dating, they ignited a spark that left the rest of the world entranced by their love for one another. There was something about a street rapper and R&B singer falling in love that made sense to fans. The two complemented each other so perfectly. While popular opinion may argue that it was Ciara who “upgraded” the caliber of Future’s celebrity, I’d have to disagree and say that both of their careers benefited during the course of this romance. Prior to their relationship, Ciara’s career had all but disappeared into the abyss and rapper Future was only an underground rapper with a strong buzz. In 2013, Future wrote Ciara’s first chart topping single in years entitled “Body Party.” Fans were excited about Ciara’s new sound and Future’s career began to resonate with a more mainstream audience. This couple caught the attention of the public right away. From matching tattoos to public appearances, there seemed to be no end in sight. However, after a few cheating allegations, a brand new baby, and a called off engagement, the pair split in August of 2014. While both have since to move on with their lives (Especially CiCi who now dates Seahawk’s quarterback Russel Wilson) fans can’t help but to miss the excitement of this dynamic duo. Not to mention the music. In 2005, the relationship between Chris Brown and Rihanna was flourishing steadily. By 2008, they were undeniably an item. What made this relationship so great was that both artists essentially grew up with their core fans. This scored the couple many points for being relatable. After all, who better to identify with being young and in love better than those who are also young and in love? The handsome pair was practically inseparable until 2009 when Brown attacked Rihanna in a car upon leaving a pre-Grammy party. The couple underwent a very public breakup after the “Loyal” singer was indicted on felony assault charges. Since then, both singers have gone on to reach the peak of their careers. 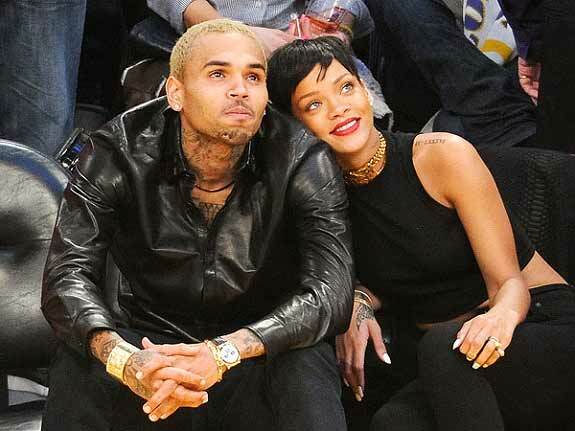 Rihanna has been romantically linked to a slew of other celebrities and Chris has managed to enter and destroy yet another relationship. The two were briefly rumored to be back together after Brown’s restraining order from Rihanna was lifted, as they were seen hanging out together publically. While domestic violence is NEVER okay, I think in the back of our minds we all wish that the incident would have never transpired in the first place. Rapper Wiz Khalifa first began dating Amber Rose back in 2011 after her relationship with rap star Kanye West ended in flames. 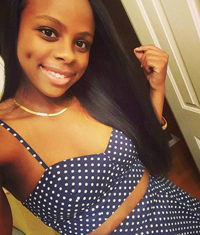 Amber, a Philadelphia native with a cool “round the way” demeanor, had the world captivated by her beauty and striking appearance. Wiz, still riding off of the success of his mixtape Kush and Orange Juice, was immediately smitten with the model after engaging in an exchange via Twitter . The two soon became a couple-making appearances at virtually every industry event hand in hand. In 2012, Amber and Wiz were married and in 2013, they welcomed their son Sebastian into the world. A year later, Amber went on to file for divorce, leaving the entertainment world puzzled. In the weeks leading up to the break up, the couple had still been seen out publicly together and even speaking on their relationship. Amber and Wiz’s carefree personalities made this duo a perfect fit for one another. Wiz was the self-proclaimed “stoner,” and Amber was the free spirited pretty girl. Together, they gave off a contagious modern day hippie aurora. The two always seemed pleased to be in each other’s presence. Their chemistry simply radiated and made falling in love look even sweeter. Since the split, the two have had several fallouts via social media over the co-parenting of their now two year old child. Amber has been linked to the likes of Chris Brown, Nick Cannon, and James Harden to name a few. And Wiz….well…he’s still a stoner. Although Wiz Khalifa’s career has remained intact since the breakup, fans still miss this fun couple. Recently, Amber took to Instagram and announced Wiz as her “Man Crush Monday.” Since then, the two were spotted together with their son for Easter, but currently show no signs of reconciling. But that won’t stop us from keeping our fingers crossed!